The EUR/USD is trading within the first downward wave and may reach 1.1722 today. Then, it may go down to 1.1765, and fall back to $1.1660,i.e. a local target. 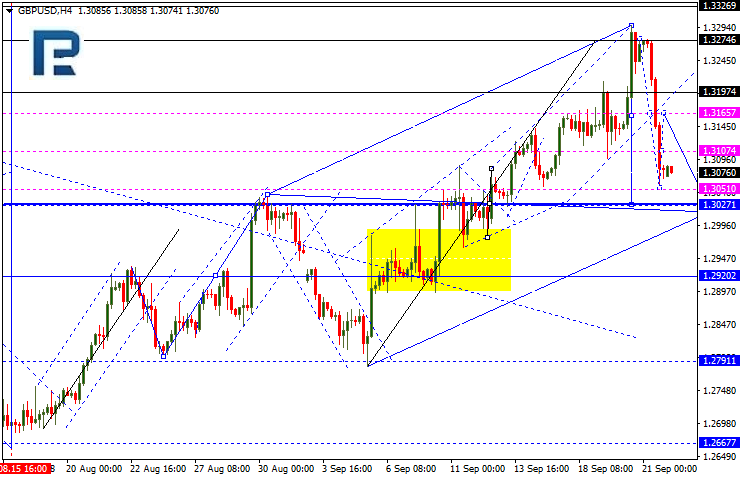 The GBP/USD is being under pressure; today, it may reach 1.3027, but then a pullback to 1.3165 might occur. 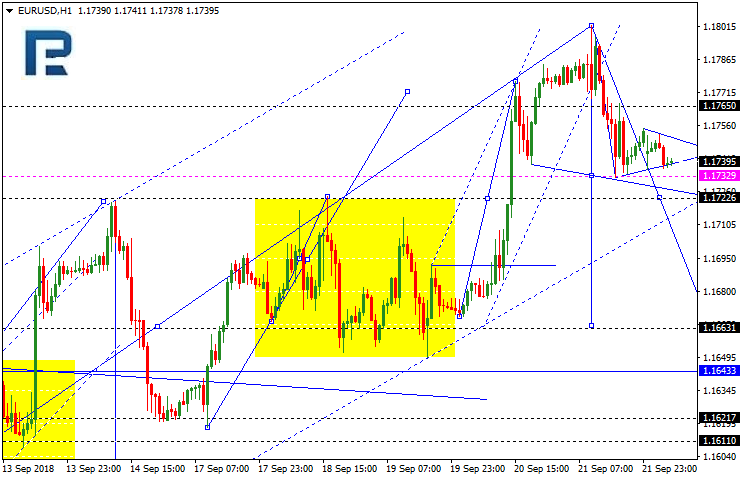 Then, a downtrend may start, with the target at 1.2895. The USD is rising against the franc within the first upward wave and may reach 0.9600 today. 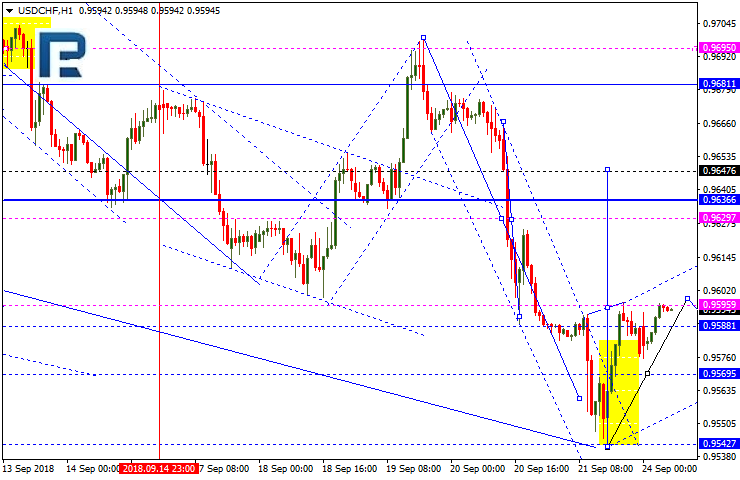 Then, a pullback to 0.9570 is possible, and then another rise (wave 3) to 0.9630. 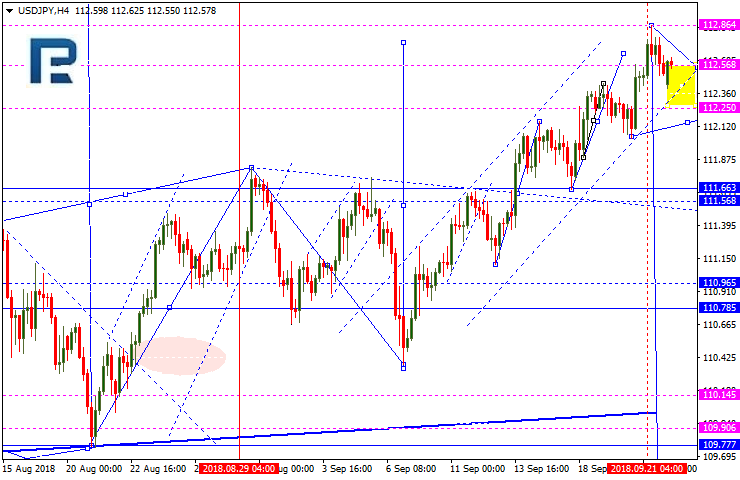 The USD/JPY is trading within the first downward wave with the target at 112.25. Then, a rise to 112.60 is possible, and after that, it may go back to 111.66, i.e. a local target. 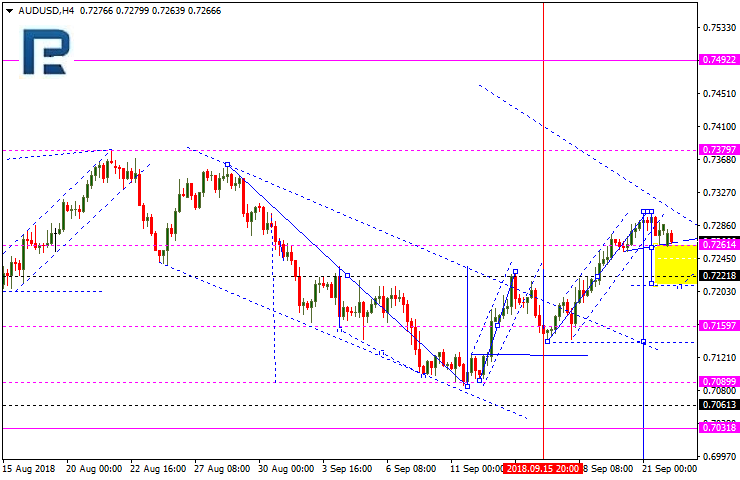 The AUDUSD got inside the first downward impulse, and today it may go down again, to reach 0.7222. 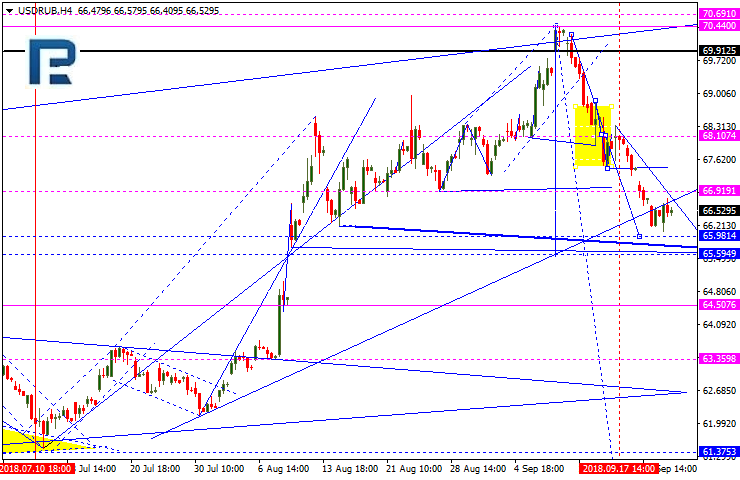 Then, a rise to 0.7250 is possible, and after that, it may go back to 0.7160. The USDRUB is still consolidating around the downward wave lows. Today, it may reach 66.00, and then pull back to 68.00. After that, it may go back to 65.65 again, which is going to be the first target. 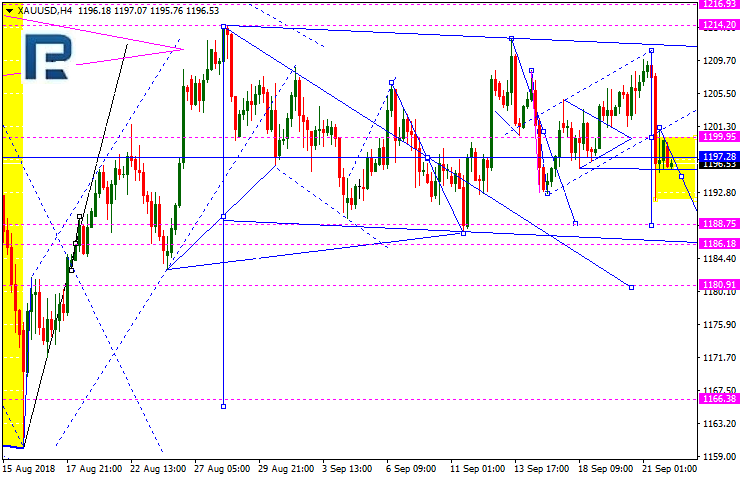 Gold is downtrending, with the target at 1188.75. Then, a rise to 1199.80 is possible, and after that, it may go back to 1186.22 again. Brent crude is consolidating around $79.15. 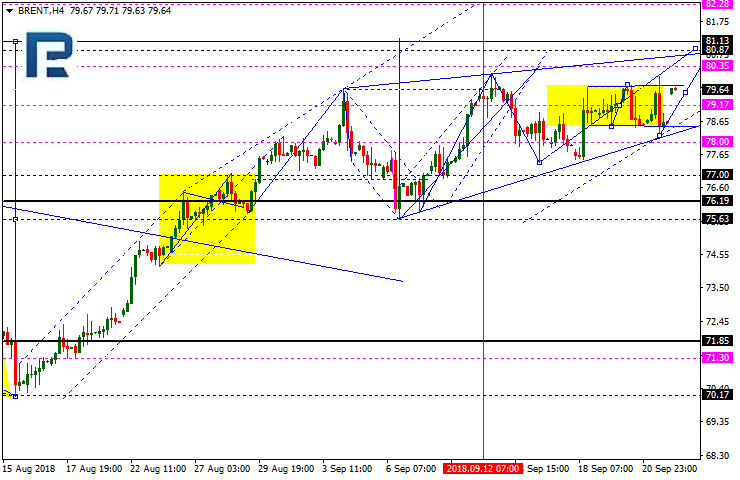 Today, it may break out the range and go up to reach $80.00, but then is likely to correct to 79.60. After that, it may rise back to $82.20 again.